Microsoft Office Outlook 2007 provides an integrated solution for managing your time and information, connecting across boundaries, and remaining in control of the information that reaches you. This section comprises the most frequently asked questions on Microsoft Technologies. 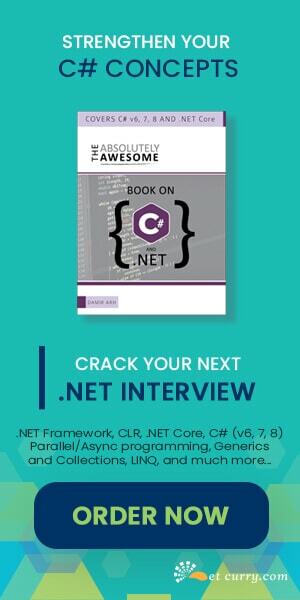 Microsoft ASP.NET 2.0, 3.5, 4.0 is a set of Web application development technologies that enables programmers to build dynamic Web sites, web applications, and XML Web services. This sections covers Design Patterns, Coding Guidelines and Best practices. Visual Studio is a powerful IDE that ensures quality code throughout the entire application lifecycle, from design to deployment. 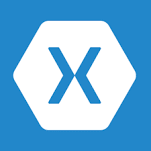 Xamarin is a cross-platform development software from Microsoft which simplifies mobile application creation. Microsoft Silverlight is a cross-browser, cross-platform plug-in for delivering the next generation of .NET-based media experiences and rich interactive applications for the Web. The .NET Standard is a formal specification of .NET APIs that are intended to be available on all .NET implementations. .NET Core is a modular, high-performance implementation of .NET for creating Windows, Linux, and Mac apps. AngularJS lets you extend HTML vocabulary for your application. It is a toolset for building the framework most suited to your application development. It is fully extensible and works well with other libraries. Windows Phone 7 is an upcoming version of the Windows Mobile operating system developed by Microsoft. Microsoft® Expression® Web is a professional design tool to create modern, standards-based sites that deliver superior quality on the Web. The ADO.NET Entity Framework enables developers to create data access applications by programming against a conceptual application model instead of programming directly against a relational storage schema. The goal is to decrease the amount of code and maintenance required for data-oriented applications. Cascading Style Sheets (CSS) is a style sheet language used for describing the presentation of a document written in a markup language. Bootstrap is the most popular HTML, CSS, and JS library in the world. It is a free and open-source front-end web framework for designing websites and web applications. Machine learning is the science of getting computers to act without being explicitly programmed. Artificial intelligence (AI, also machine intelligence, MI) is intelligence displayed by machines. Windows PowerShell is a task management and automation framework, consisting of a command-line shell and associated scripting language built on the .NET Framework. This section contains tutorials to demonstrate planning, organizing and managing efforts via processes and tools to accomplish a successful project. We discuss general topics over here, not related to a particular technology. Windows Vista has finally hit the market. From what it will do for you and how you'll use it, to detailed descriptions of individual features, we will explore all in this section. VSTS (now called Azure DevOps) is an environment for creating and managing software projects. It integrates with Visual Studio to give a seamless environment to the team members of the development team. Team Foundation Server (TFS) automates and streamlines the software delivery process for all team members. Windows Store is an application store for Microsoft Windows. Windows Store App Development introduces developers with tools and techniques to create their own apps and deploy them to the store. Microsoft® Expression Blend™ is the professional design tool to create engaging web-connected experiences for Windows.